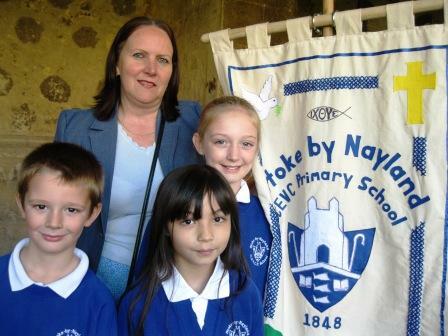 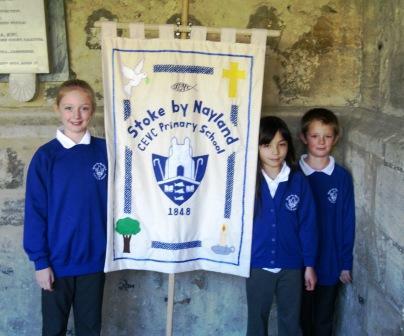 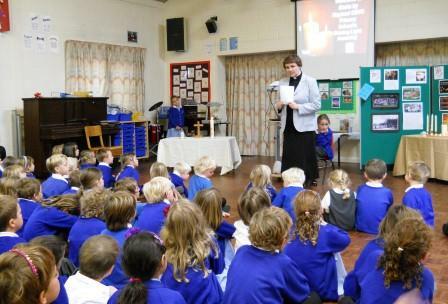 We are a Church of England School with an inclusive admissions policy and all are very welcome at our school. 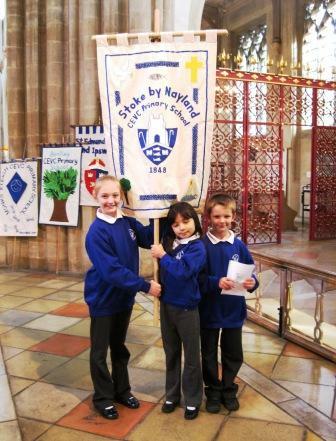 Our ethos is based on Christian values such as kindness, respect and forgiveness and they underpin our approach to learning and understanding the world around us. 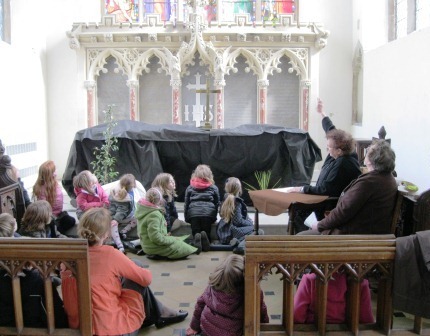 We encourage children to think, to listen and ask questions about faith and beliefs, and learn about the varied cultural world that we live in. 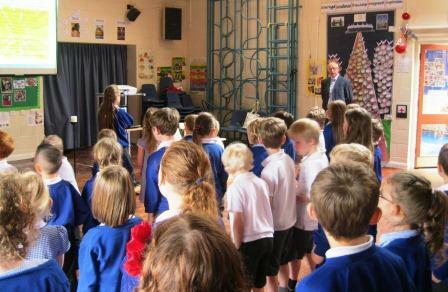 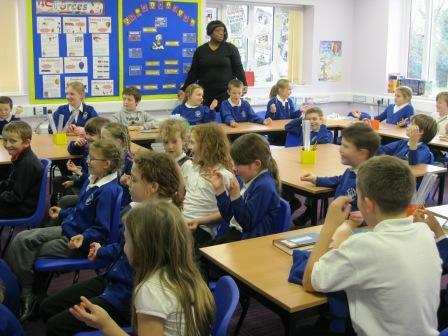 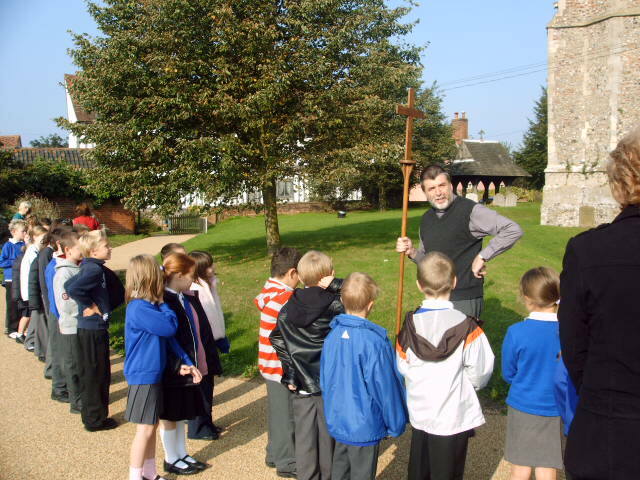 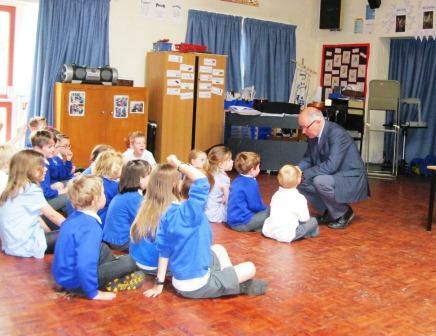 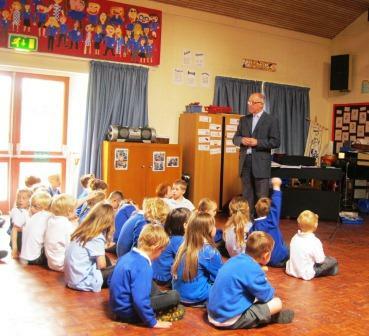 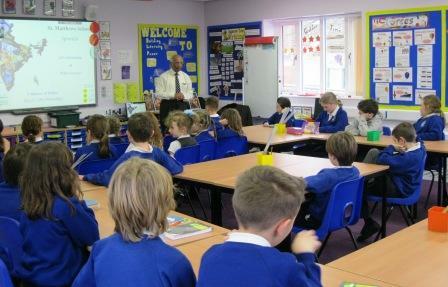 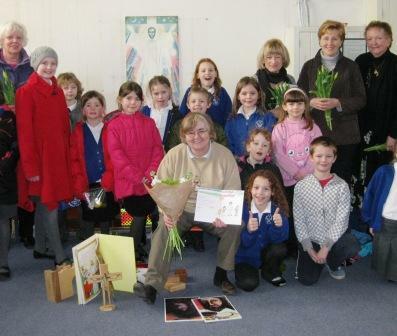 We have a close relationship with the local ministers and churches and they regularly come into school for assemblies, Kids Club and special services. 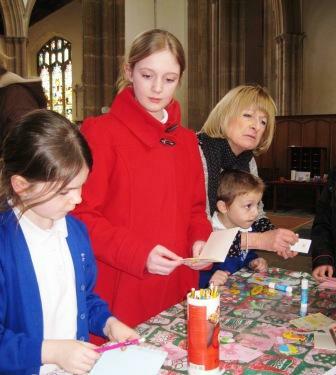 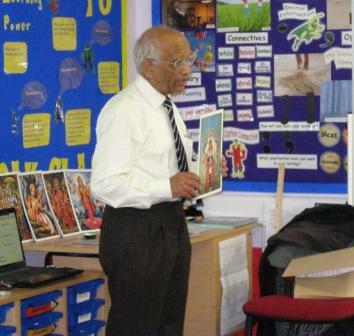 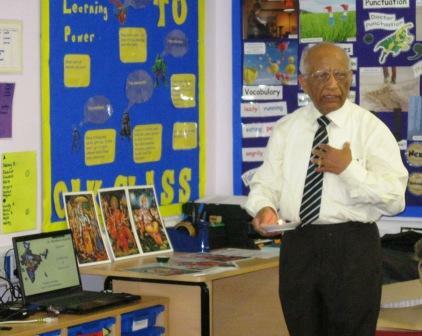 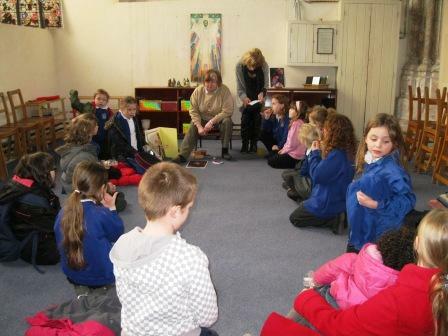 We also endeavour to provide experience of other religions by inviting visitors to share what their faith means to them. 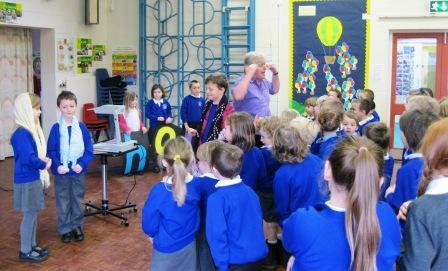 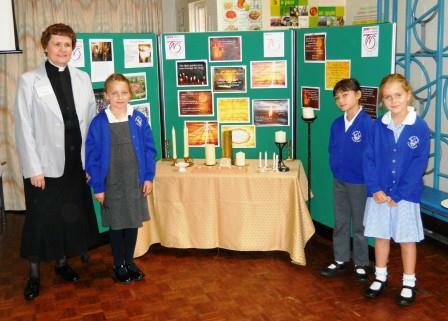 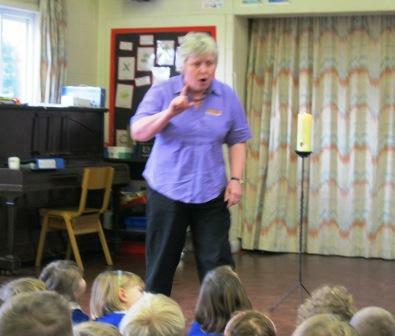 The Bishop's Chaplain came to our school and led the service. 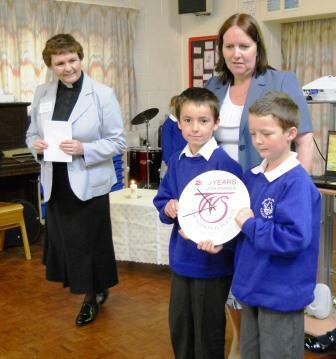 She presented our school with a special candle and a clock. 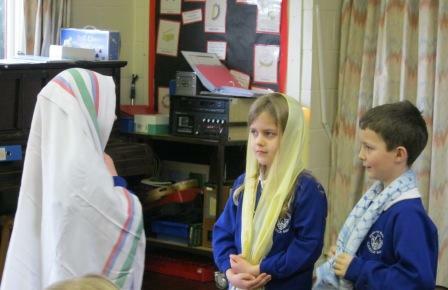 EpiphanyOn the 6th of January, the first day of the new term, we had a special assembly at the church to celebrate Epiphany. 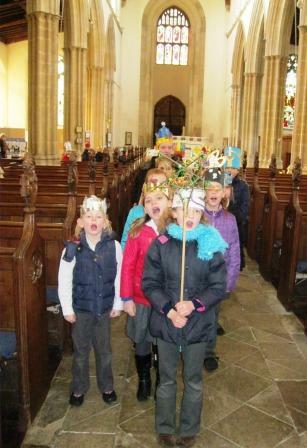 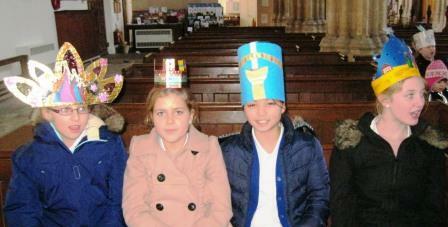 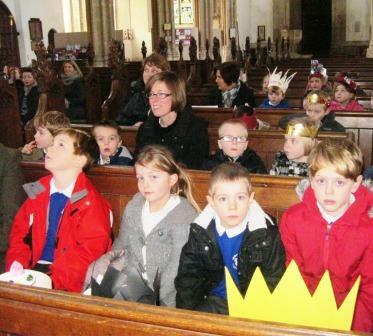 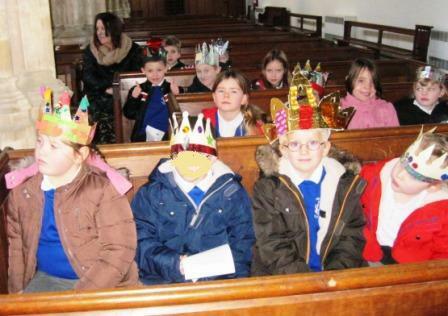 Over the Christmas holiday we made crowns and brought them into school. 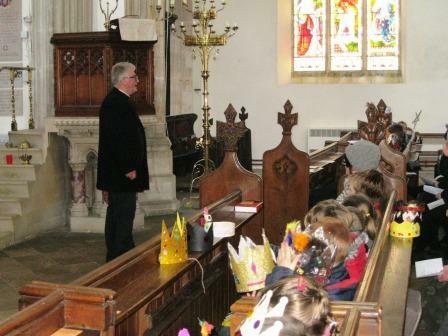 We processed down to the church, led by the choir who sang 'Lord We're Following Your Star'. 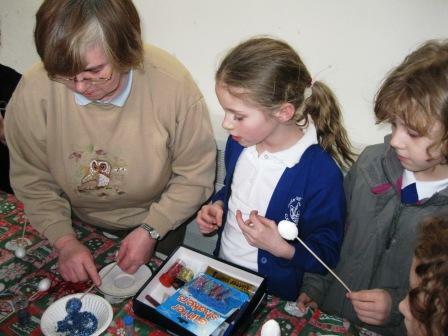 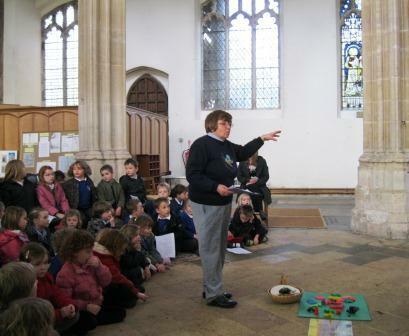 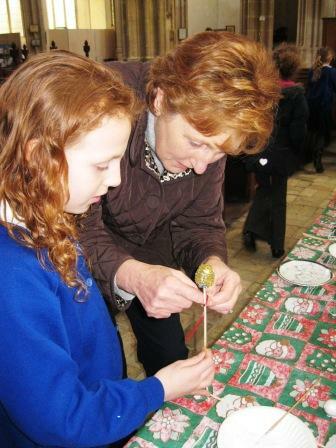 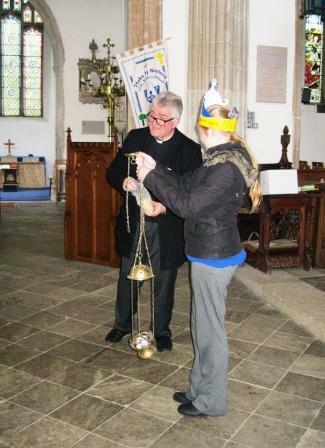 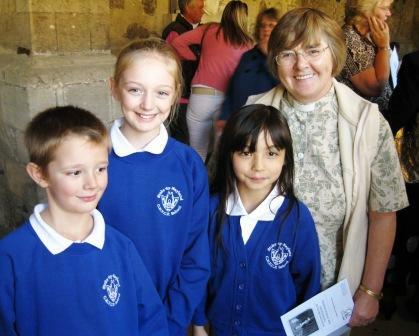 Helen works for the Diocese as an Education Adviser. 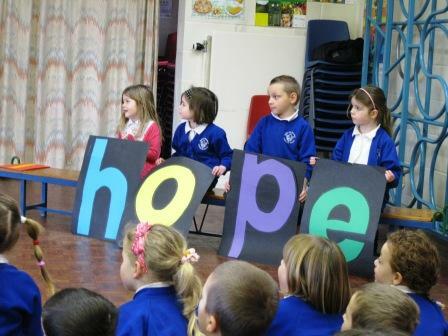 She came into school to take an assembly on our theme of 'hope'. 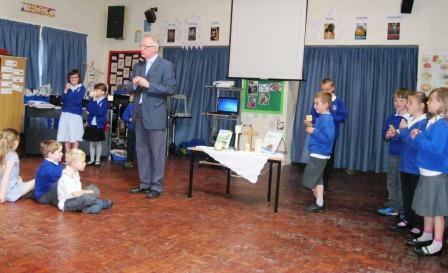 Reverend Jim came to assembly. 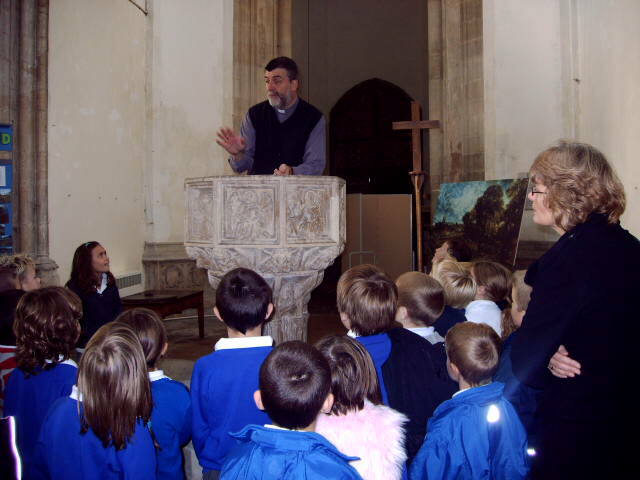 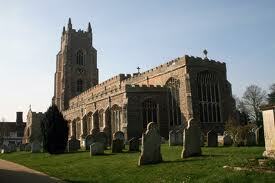 He is from the United Reform Church in Hadleigh.